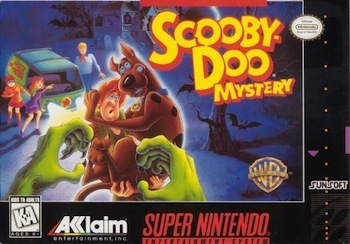 Scooby Doo Mystery for Super Nintendo has it up to Shaggy and Scooby our fearful heroes to get to the bottom of things and solve two mysteries. You'll have to guide Shag and Scoob through all kinds of scary scenes, collecting clues and trying to figure out what's going on and maybe picking up a Scooby Snack here and there! For 1 player.